Repair or Replace? This is always a difficult a decision. On one hand you don't want to spend money on a new system, but on the other hand, you don't want to throw good money after bad. Which way should you go? It really boils down to the condition and age of the air conditioning system. If you have been keeping your equipment properly maintained by a licensed air conditioning technician, then perhaps the current repair is isolated to a single, simple problem and not indicative of a major or potentially recurring issue. In this case it might make sense to repair and fix the problem. However, with any equipment it is important to consider its efficiency and the impact that wear and tear has on that efficiency and on your monthly electric bill. The Seasonal Energy Efficiency Ratio (SEER) rates the efficiency of an air conditioning unit. A unit somewhere around 10 years old would probably have been an 8 SEER unit at time of purchase. Over time this unit will wear down and operate somewhere around the 5-6 SEER level. The higher the SEER rating, the higher the efficiency of the unit. 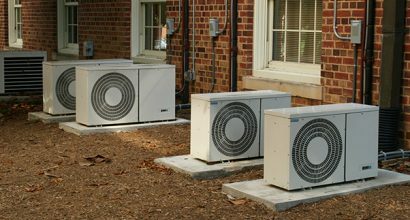 In 2006 the minimum SEER rating for an Air Conditioning unit was raised to 13 SEER. 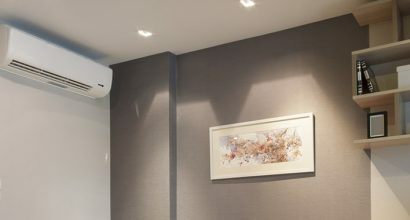 Upgrading to a newer Air Conditioning unit is surprisingly affordable based on the efficiency level of modern equipment. The money saved on your electric bill from upgrading will pay for the unit itself. So transitioning from an 8 SEER unit to a new 18 SEER unit will allow better performance at your current budget. When your A/C unit starts giving you trouble, the A/C Technician is usually your first call. But when you begin calling them day after day the bills add up and you are left with the same outdated inefficient unit. A new unit produces cooler air, with less energy. Less energy means a lower utility bill. Which means you could be paying for a new unit, rather than life support for your old one. Using a higher SEER unit saves energy. Saving energy saves the environment. Using technologies such as the eco friendly R410A refrigerant will also minimize the overall environmental impact. Therefore, you can feel good about saving both the planet and money on your energy bill with your new air conditioner.